Alisson was the culprit for Liverpool conceding their first Premier League goal this season. 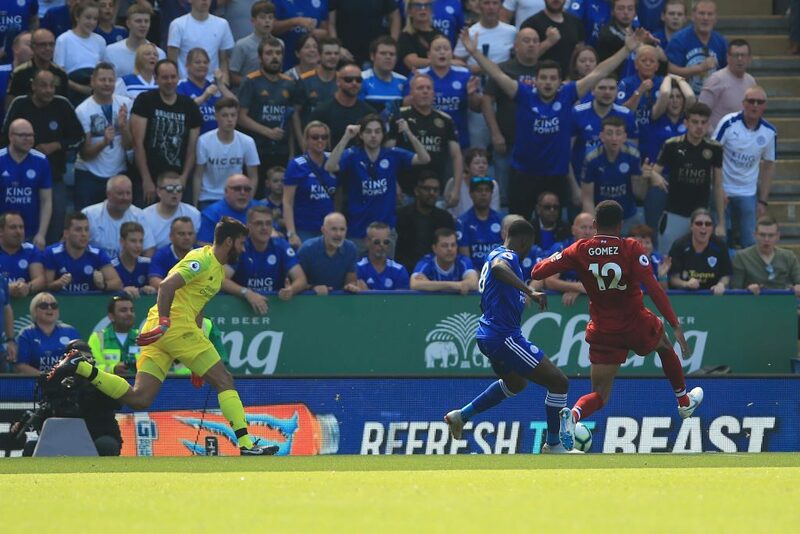 Though Jordan Henderson and Virgil van Dijk played some poor passes in the build-up, the goalkeeper’s botched Cruyff turn allowed Kelechi Iheanacho to collect the ball and set-up Rashid Ghezzal for a Leicester City goal. Liverpool still ran out 2-1 winners to maintain maximum points in the league, but they looked on course for a fourth straight clean sheet also. Alisson pulled off an absurd chip against Brighton last week, though manager Jurgen Klopp wasn’t happy with it, warning that such risks would come back to bite him. Klopp said after today’s game that he was expecting a colossal mistake. “It was clear from last week that I thought it would happen,” Klopp said earlier today. Now the Brazilian goalie has had his say, and while he was slightly defensive, calling out van Dijk’s bad pass, he conceded that he would have to cut out the ambitious dribbling. “I am angry that I made a mistake that put the team in a difficult situation,” he told ESPN Brasil via LiverpoolFC.com. “When one person makes a mistake, it affects everyone and everyone fought back together. We have to improve still but the result is what matters at the moment. It was bad judgement, I made a mistake reading the play. I didn’t get a very good pass [and] we talked about that in the dressing room and I spoke to Virgil. It wasn’t a good pass but I could have just kicked it long. “I wanted to keep playing and keep the possession [and] now everyone is going to analyse that. I’m not going to be stupid and make the same mistake. We have to learn from our mistakes.